Hosting for your Zikula website that just works. We’ll even install Zikula for you! We’ll move the existing Zikula site! 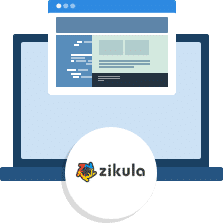 Softaculous auto-installer – Install Zikula in just a few clicks. GD support – Needed for many Zikula plugins. Zend and Ioncube support – Needed for some Zikula plugins. A tool kit provides you with a number of different tools to get a job done. Zikula does just that, but for websites and web applications. 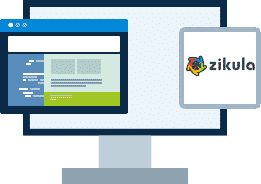 Depending on which distribution you choose to run, Zikula could manage your blog articles, allow comments on your site, run a forum, downloads section or link directory or even handle static content in any number of languages. For day to day work with Zikula, you won’t need any technical knowledge – those of us on the team have set up websites for multi-national organisations, blogs, schools, the Scout Association and even Church groups. All of these people were able to use Zikula effectively for their needs.